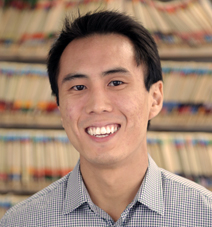 Dr. Owyang is a bay area native raised in Fremont, and currently resides in San Ramon. In 1993, he attended college at the University of California, Davis, where he obtained a BS degree in Microbiology. Afterwards, he attended the Arthur A. Dugoni University of the Pacific School of Dentistry to obtain his DDS degree in 2004. Dr. Owyang also practices in Fremont, as well as Pleasanton. When not servicing his patients, Dr. Owyang loves spending time with his wife, Clariza, and their two children. He is also passionate about music, art, and photography. Dr. Owyang is also an avid football fan! 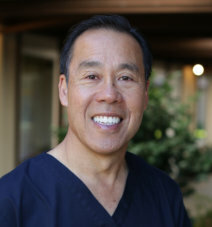 Dr. Orson Leong is a general dentist with over 25 years of clinical practice in the Bay Area. 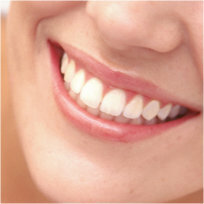 He is experienced in all phases of general dentistry with an emphasis in cosmetic and implant dentistry. He received his Doctor of Dental Surgery degree from University of the Pacific, Arthur A. Dugoni School of Dentistry and practiced in downtown San Francisco for the first 12 years. Marriage and family provided him the opportunity to relocate in Fremont, where he practiced for another 13 years of private practice. He is a member of several professional organizations including the American Dental Association, California Dental Association and the Southern Alameda County Dental Society. A native of San Francisco, Dr. Leong loves the Bay Area. In his free time, Dr. Leong enjoys spending time with his family traveling, golfing, scuba diving, fishing, snow and water skiing. 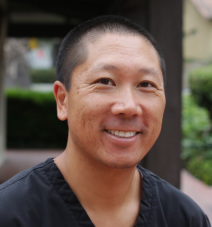 Dr. Okumoto was born and raised in Southern California, and now resides in Emeryville. He obtained a Bachelor’s of Science degree in Human Biology at the University of California, San Diego in 2008. Over the next 2 years, he worked as an assistant business manager at a dental office in San Diego where he developed a passion for the dental field. He then attended the University Of California Los Angeles School Of Dentistry and obtained his Doctor of Dental Surgery degree. He is a member of the Southern Alameda County Dental Society, the California Dental Association, and the American Dental Association. In his free time, Dr. Okumoto enjoys listening to music, cooking (and of course eating), and both playing and watching basketball. Cat is our registered dental hygienist, and it’s always a pleasure to be in her company! Cat was born in San Francisco and attended Chabot college to obtain her hygiene training. She currently resides in Fremont, and is fluent in Mandarin. 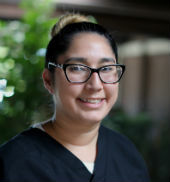 Making sure that our patients maintain their optimal oral health is Cat’s main goal, and she does a fabulous job at it. In addition to being thorough and meticulous with her cleanings, she also ensures that her patients are always comfortable in her chair. In her spare time, Cat loves to travel, and try out new and exotic restaurants. Jessica is our Registered Dental Hygienist, and in charge of keeping our gums healthy and our smiles bright! 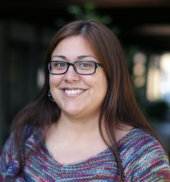 Jessica grew up in Livermore where she attended Livermore high school and Las Positas College. She also attended Carrington College and received her associates degree in Dental Hygiene. 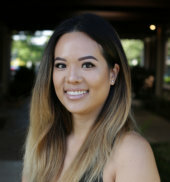 Jessica is loved by all our patients, thanks to her charming personality and gentle touch. She always makes sure our patients feel comfortable during their cleanings, and helps them with any needed oral hygiene tips to take home. In her leisure time, Jessica enjoys outdoor activities, concerts, traveling, dancing, and spending time with family. Charlotte handles all of our front office administrative duties, from scheduling patients, to processing insurance claims, to making sure any and all issues with patient accounts are handled. She’s got a lot on her plate, and she handles it all with the ease of a pro! With over 15 years in the dental field, Charlotte brings a wealth of experience when it comes to managing our office’s business affairs. 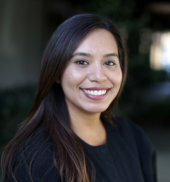 She also has a background in dental assisting, having received her certificate in 2002 from Bryman College , formerly in San Jose . In her spare time Charlotte spends time with her husband, three kids and her three Cats. She loves to reading, cooking and anything that involves being outdoors. If you’re ready to make an appointment with us, give Charlotte a call! Alondra’s goal is make all our patients feel comfortable when they sit in a dental chair, and she does a wonderful job doing it. She enjoys the challenge of having a career in the dental field. Whenever she managed to squeeze out some free time during her hectic schedule, Alondra enjoys going to the beach, hiking, and spending time with her friends and family.